Noel Firearms is an FFL dealer of long guns (rifles and shotguns) and hand guns. We sell both new and used firearms. We are happy to look over your used guns and give you a price or trade-in value. 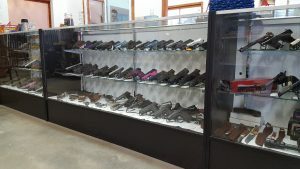 Following are some of the over 350+ firearms in stock. Give us a call at 207-546-4400 or stop by for more details. We can handle your out of state firearm transfer from an FFL dealer. Fees will apply. Contact us directly for more details. 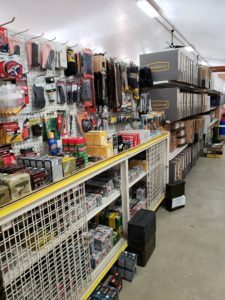 We stock a large selection of Remington, Winchester, Hornady & Federal ammunition. Federal law states that you must be 18 years old to purchase a long guns (rifle or shotgun) and 21 years of age to purchase a handgun. These age requirements also apply to ammunition. Non-residents may not purchase handguns in an over-the-counter transaction in the state of Maine. The Firearms Owners Protection Act of 1986 allows for over-the-counter purchase of long guns provided the buyer complies with the laws of both the state in which the firearm is purchased and the state in which residency is claimed. A non-resident purchasing a firearm in Maine is subject to the same requirements as a Maine resident, in addition to the laws and regulations governing his or her state of residence. Individual states have their own set of laws and regulations governing the sale of firearms. 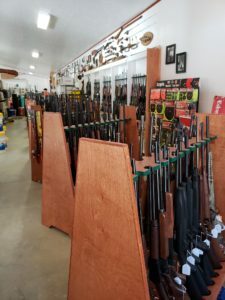 It is your responsibility to familiarize yourself and comply with all the federal, state, county, and / or municipal ordinances, laws and regulations governing the possession and use of any firearm or category of firearms in both the state you purchase the firearm as well as the state in which you reside.